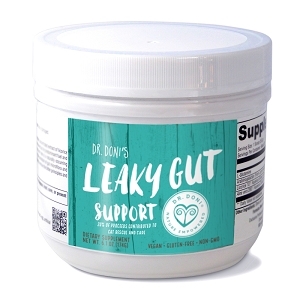 Dr. Doni's Leaky Gut Support features four specialized ingredients for enhanced gastrointestinal support. 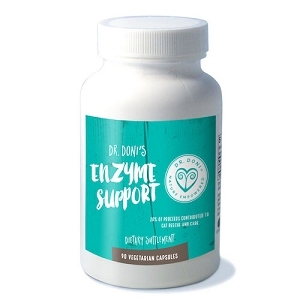 Contains a concentrated extract of licorice that has been processed to remove glycyrrhizin, therfore reducing risk of side effects associated with licorice. Glutamine serves as the predominant fuel and nitrogen source for the mucosal lining of the gastrointestinal (GI) tract. Arabinogalactan from the North American larch tree is a naturally occurring polysaccharide that provides excellent support for GI health. Research suggests that arabinogalactan plays a role in the promotion of gut microflora and may increase beneficial short-chain fatty acid production. The Aloe vera leaf extract in Dr. Doni's Leaky Gut Support has been processed to remove the bitter principles and prevent a laxative effect. Wheat, gluten, yeast, soy, animal or dairy products, fish, shellfish, peanuts, tree nuts, egg, ingredients derived from genetically modified organisms (GMOs), artificial colors, or artificial sweeteners. 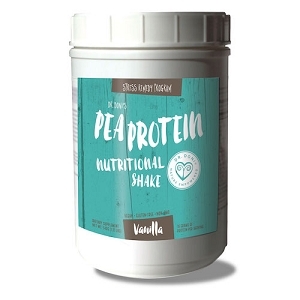 Mix one scoop in 2-4 oz water once daily, or as directed by your healthcare practitioner. Other Ingredients: Microcrystalline cellulose, vegetable stearate, rice bran. Warning: Consult your health care practitioner before use if you are pregnant, nursing, taking medication, or have a medical condition. Store in a cool, dry place. 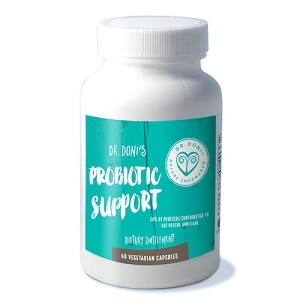 Dr. Doni's Probiotic Support delivers large amounts of specific probiotics to the intestinal tract to complement detoxification protocols such as broad-spectrum antibiotics, anti-fungal/anti-microbial medications, or heavy metal chelating agents that can compromise friendly flora. Toxins and metabolic by-products generated during use of these agents can exacerbate intestinal dysbiosis and disturb the healthy balance of intestinal flora. Dr. Doni's Probiotic Support provides two colonizing Lactobacillus and one endogenous Bifidobacterium probiotic species that can support the body s natural detoxification process by metabolizing or reducing the uptake of toxins in the gut thereby facilitating the elimination of toxins and by-products from the intestinal tract. Formulated with 50+ billion CFUs per capsule, Dr. Doni's Probiotic Support uses a proprietary technology to ensure maximum delivery of live microorganisms throughout the intestinal tract. Other Ingredients: Vegetarian capsule (hydroxypropyl methylcellulose, water), proprietary polysaccharide complex, cellulose, and L-leucine.